In 1956, China was going through political changes due to the fact that seven years before was when China finally became a republic. Socialism was supposed to be the transformation to make China a happy and peaceful nation. However, this period showed how individuality influenced an entire nation. Mao Zedong, Chairman of the China's Communist Party (CCP), brought about the Hundred Flowers Campaign in May of 1956. He needed the support of the intelligentsia in order to forward China's socialistic society, which was that of taking on the Soviet socialist system full of science, technology and agriculture. His movement gave freedom of speech to the Chinese, a privilege that they never truly had before without persecution or fear. However, the harsh criticisms from the intelligentsia and students about China's political regime, the Communist Party, put an end to that freedom. Intellectuals were a vital role in advancing the power of New China. There were key points that explained how the Hundred Flowers Campaign came about, what happened during that time period, and what occurred because of it. Nikita Khrushchev, the Soviet leader, shockingly came forward with a speech which was about how treacherous and murderous Joseph Stalin (previous Soviet leader) was, which was directly opposite of the revolutionary and camaraderie that the Chinese people were led to believe he was. This is most devastating in that China was trying to adopt the Soviet social system. Mao announced his Hundred Flowers Campaign in order to appeal to the intelligentsia, whom he needed in order to advance China in the areas of science and agriculture. The campaign evoked brutal criticism that stated that the Chinese had freedom of speech, the intellectuals thought that they did not have to worry about any Chinese official jailing or killing them for what they said. Yet, because of the extreme intense feelings that were expressed by millions of Chinese, Mao ended the campaign and suppressed freedom of speech. The Hundred Flowers Campaign defined an era in Chinese history unlike any other. The strength of the Chinese government was built upon having a powerful and influential image, which came from its partnership with Russia, however, when Khrushchev defied it, he became known as a traitor to communism, so Khrushchev, along with the intelligentsia threatened the Chinese government. The One Hundred Flowers Campaign was full of angst against what intellectuals and students felt about the communist system, but who could have known the degree of what would happen within the Chinese government. The One Hundred Flowers Campaign, led by Mao, was his fight to make China more powerful, and he needed the intelligentsia to help advance China. He believed that giving the intelligentsia the freedom to voice their opinions would make them more loyal to the communist cause. After Mao established his communist regime in China, a new constitution written in 1954 contained freedoms of speech, assembly and press (158 Meisner). However, these freedoms were only issued when it was in favor of socialism. Intellectuals received the most ridicule, and their ideology continuously changed. In 1949, the Communists had won the support of much of the intelligentsia, but that support was slipping. So, the party was now in the motion of regaining that support due to economic reasons. Science and technology were needed to bring China prosperity and power, therefore, the intelligentsia needed to be more advanced and more progressive. China had a twelve-year plan for the development of science, and included in that was that they needed the intelligentsia to cooperate. However, the intelligentsia were fearful of the Communists because the intelligentsia were being oppressed. Mao had called for a twelve-year program for improving agricultural production, but he needed the intelligentsia to help through their participation in the economic and political life of China. 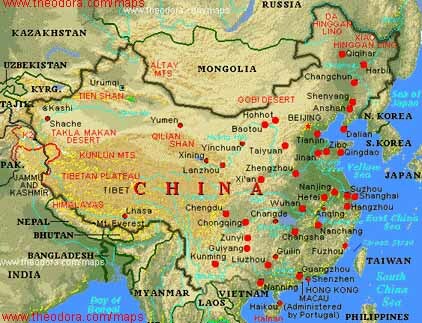 The plan in China, since it was an extremely new nation, was to follow that of the Soviets, which relied on central planning and industrial development. Zhou Enlai, Premier of the Republic of China, and Mao Zedong had slightly different views about how that was to be done. First of all, the question of the intelligentsia and class status was a problem because, according to Zhou, "the forces of our intelligentsia are insufficient in number, professional skills and political consciousness to meet the requirements of our rapid Socialist construction" (159 Meisner). Zhou believed that if there were more rational organizations and work assignments, then the intelligentsia could better develop their skills, which would be of a benefit to the state. He said that in order for that to occur, they needed more books, better housing, and more rewards. China needed more intelligentsia because how can the intelligentsia devote their time fully to forwarding the economy if they were always in fear of being criticized for their wrong ideology? Zhou also removed "barriers" for recruiting intelligentsia into the Communist Party, and because of that action, there was a fifty percent increase in party enrollment in 1957 (160 Meisner). The problem for Mao was that now there was more intelligentsia in the CCP than members of the working class. Mao, on the other hand, believed that the bureaucrats and peasants should be separated from the intelligentsia in order for them to flourish (162 Meisner). Mao believed that agriculture was most important to advance the nation and that the intelligentsia was a key component in advancing agricultural production. They could be used not only economically, but also politically, in terms of supporting Mao's vision of Chinese socialism. What Mao wanted was a society that would be full of small-scale industries that were in the countryside, local communities to be the center of the socioeconomy, labor-intensive projects, and moral incentives. He wanted everything to be done at a much faster rate. Even though Mao still had some doubts about the ability to reform the intelligentsia, he felt that in the end, the outcome for a greater China was worth taking the chance on the intelligentsia. A major impact occurred in February 1956, when Nikita Khrushchev, who was the Russian leader, denounced Stalin. He came forward with a speech that depicted Stalin as being a "bloodthirsty tyrant" (163 Meisner). The problem with that statement for Mao was that up until that point, the Chinese people were led to believe that Stalin was the savior of his people and that he was a comrade to the Chinese people. The Chinese government had to explain away the speech because they were following the Stalinist model, and any criticism of Stalin was a criticism of Mao and the Chinese policies. Even though Mao was for the abandonment of the Soviet model, he needed the Chinese people to have their high views of Stalin because Mao still wanted to have China as a powerful communist nation. However, the central issue was how could China want to become like the Soviet nation whose leader was brutal and murderous? Among Chinese, Khrushchev's main point was that Stalin was a usurper in how he gained his power from Trotsky (who helped Stalin establish the Soviet Union), and he didn't follow the traditional views about the Mandate of Heaven. In April, the Chinese government printed an editorial in the People's Daily, stating that Stalin made some mistakes but that Khrushchev failed to mention how those mistakes cam about, which is how the government defended the Soviet system. Mao stated that Stalin did both good and bad, but everything that he did made a great impact on Russia forever. Stalin was still held in favorable light since his achievements outweighed his failures. On May 2, 1956, Mao's movement of "let a hundred flowers bloom" and "let a hundred schools of thought contend" took into effect (273 Howard). The first quote was aimed at artists and writers, whom he encouraged to freely express themselves within the realms of social realism. The latter quote was for the scientists (intelligentsia), whom he wanted to not fear the government when advocating different scientific theories for the purpose of scientific progress. At first, the intelligentsia was hesitant to voice criticism due to the persecution many had already faced since the founding of the FRC. For example, in 1955, Hu Feng, a writer, was imprisoned for voicing his criticisms about the political involvement in literary works (www.brainsnchips.org/hr/100flowers.htm). However, Mao and others continuously encouraged the intelligentsia to voice their views on political matters, and by the summer of 1956, criticisms of bureaucracy, social realism, and the government's disregard for Marxist humanitarian ideals were being printed in newspapers. Also, they were emboldened by a Hungarian revolutionary rebellion by anti-Stalinists, which indicated that change in the Soviet system was possible and that the same thing could happen in China (www.etext.org). In February of 1956, Mao revived his campaign with the speech, "On the Correct Handling of Contradictions Among the People" (www.etext.org). He strongly emphasized agriculture and a lighter industry. His idea was that "the standard of living of the people should correspond with the stage of development of productive forces and no section of the population, and certainly not the leading groups, should seek a standard higher than the remainder" (270 Howard). Mao also gave intellectuals another opportunity to criticize freely. His belief was that since the intelligentsia was thought to be in support of socialism, Mao felt that it was beneficial for the country to hear the different views of the intelligentsia. Mao also criticized the Communist party through emphasizing the need for class struggle over bureaucracy and reintroducing the idea of class struggle. He stated that the class struggle was "now a matter between class ideologies" (173 Meisner). However, as time went on, the criticisms were not as gentle as "a gentle breeze" or "mild rain" (81 MacFarquhar: The Politics of China). 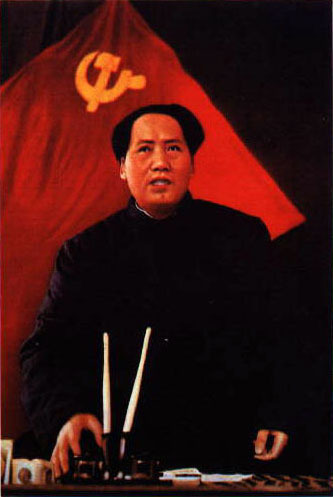 When Mao launched his plan of free criticism, he was expecting criticism from the people for Zhou's ideas, and not for his own. Much criticism was about the leaders and the led. Because Mao said that leaders and other political officials were not to interfere with the criticisms of the people, intelligentsia and students alike voiced their dissatisfactions openly. They were very bold and accusing of the Party, for example, many of the intellectuals wanted professional autonomy, or they addressed the issue of the monopoly of political power in China. They even attacked the social systems saying that the Communists were not acting in a socialist manner, such as promoting inequalities in the economy. There were even published letters stating that there was a "privileged class" who were enjoying better medicine care, living in special residences, or just enjoying everything not accessible to the masses. Intellectual and political freedoms were to be for everyone, not just the officials. Mao even attacked bureaucracy saying that the classes needed to be eliminated. He said that the gap between the city and countryside needed to be narrowed. A major event that stood out in Chinese history occurred on May 19 involving students at Beida (Beijing University), who dedicated a Democracy Wall; the side of the dining hall was filled with posters and newspaper articles (131 MacFarquhar: The Hundred Flowers...). It was filled with criticisms of the Socialist system. Organizations, such as Hundred Flowers Society and Beida held meetings and passed out packets of information regarding the socialist system and the criticisms that went along with it. This movement grew more and more violent as time went on due to there being attacks on government buildings. Such activities alarmed Mao, who on June 8, put an end to the Hundred Flowers Campaign. This movement, however, was not ended without repercussions. The government republished Mao's Hundred Flowers speech on June 18 with new additions, such as the government was trying to take out the "poisonous weeds" in the bed of flowers (30 MacFarquhar: The Hundred Flowers...). Weeding out the bad involved having public confessions, self-denunciations, and recantations. Two individuals most known for being victims to this movement were Luo Longqi and Zhang Bojun, who were leaders of democratic parties, and they were forced to confess that they "organized invisible conspiracy" against Socialism (181 Meisner). Even though Mao had similar beliefs to those who were known to be enemies of socialism, he helped to condemn and persecute them. This action made some of the Chinese wonder if this was what Mao and the Chinese government had in mind all along: to give them that freedom so that those against socialism could more easily be found and then dealt. Other revised additions to Mao's Hundred Flowers speech were that the critics who spoke against socialism were banned from being a part of China; also, there was a strong emphasis on distinguishing between those who were good and those who were bad. The CCP blamed the intelligentsia, who the CCP said were overly critical of the government, and the party used that criticism to repress the intelligentsia. The intelligentsia who were against the government of New China were termed, "rightists" (572 Spence). They were sent to labor camps or to jail. There, they had to work the land, however, most of them were exiled in what was known as the Xiafang Movement. Another reason why Mao and Communism betrayed their promise for a freedom of speech was because they did not want what happened in Hungary to occur in China. The degree of the criticisms was unexpected, because Mao believed that the majority of the intellectuals should be supportive of these socialist policies. However, because the criticisms were not bringing China closer together as a whole, "the logical and inevitable Maoist response was to bring it to an end" (187 Meisner). The biggest downfall and disappointment was that because freedom of speech was absolutely disastrous during the Hundred Flowers Movement, that freedom was never exercised in China under Mao again. Feng, Jicai. Let One Hundred Flowers Bloom. London: Clays Ltd., 1995. Howard, Roger. Mao Tse-Tung and the Chinese People. New York: Monthly Review Press, 1977. Lu, Ting-i. "Let a hundred flowers blossom, a hundred schools of thought contend! ": a speech on the policy of the Communist Party of China on art, literature, and science delivered on May 26, 1956. Peking: Foreign Language Press, 1958. MacFarquhar, Roderick. China Under Mao: Politics Takes Command . Cambridge: M.I.T. Press, 1966. MacFarquhar, Roderick. The Hundred Flowers Campaign and the Chinese Intellectuals. London: Stevens & Sons Ltd., 1960. MacFarquhar, Roderick. The Politics of China. Cambridge: Cambridge University Press, 1997. Meisner, Maurice. Mao's China and After. New York: The Free Press, 1999. Spence, Jonathan D. The Search for Modern China. London: W.W. Norton & Co., 1990.